Permanently installed on trailer door covering security seal. Secured with ENFORCER ABLOY High Security Padlock. Works with plastic, bolt, metal and cable seals. Easy to Install and use. Protect Your Trailer Load and Security Seals with the Seal Guard Lock. Permanently installed on trailer door covering security seal. Secured with ENFORCER ABLOY High Security Padlock. Works with plastic, bolt, metal and cable seals. Easy to Install and use. 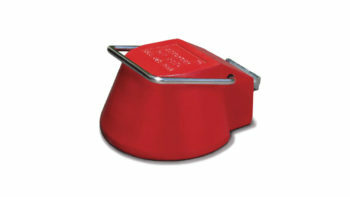 Designed to prevent unauthorized opening of trailer doors in addition to seal protection. Made of 10 gauge high strength steel, the CargoGard completely covers and protects the latch handle and padlock assembly from easy access with pry bar or cutting tools. 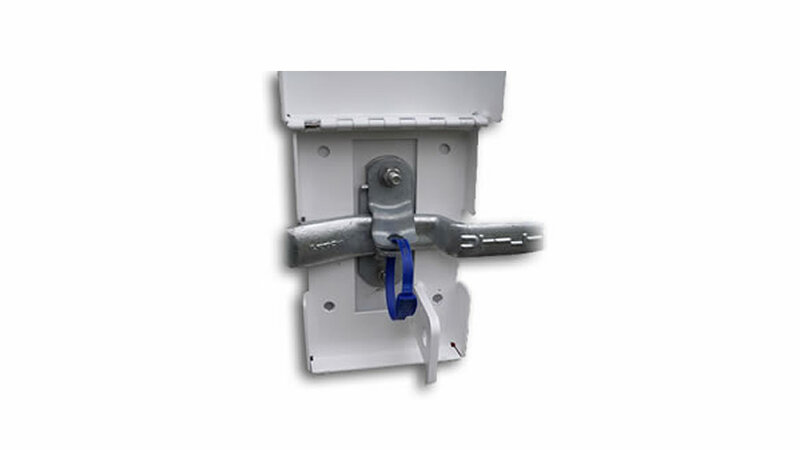 The unique conical aluminum alloy casting with an ABLOY® high security locking cylinder make the ENFORCER® King Pin Lock a formidable deterent for quick, hook up and run trailer thieves.